The Statement on Standards for Attestation Engagements, or SSAE, was developed by the American Institute of Certified Public Accountants (AICPA). CPA firms must follow the rules set forth by the AICPA when conducting an audit of a company’s financial statements or attestation of a company’s internal controls. 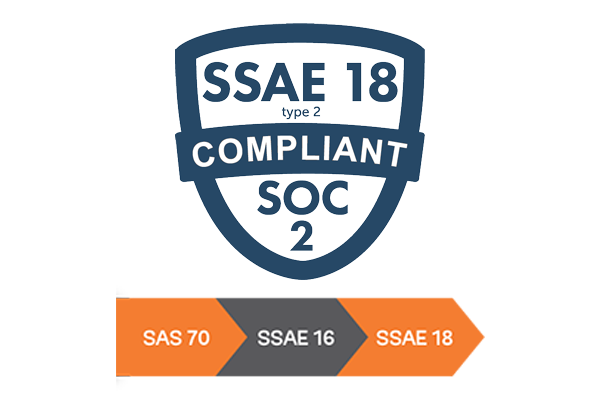 SSAE 18 (previously known as SSAE 16 or SAS 70) contains the rules for conducting an attestation of a service organization’s internal controls and issuing a System and Organization Controls’ (SOC) report. Service auditors are required to follow these rules when conducting an SSAE 18 engagement. The primary objective of the SOC report is to provide information about the internal controls and security practices at a service organization. The role of the service auditor is to perform tests in order to provide independent assurance about the accuracy and adequacy of that description of controls. In April 2010, the AICPA introduced SSAE 16. It replaced SAS 70 and was designed to closely mirror international accounting standards. It provides improved assurance about the reliability of controls throughout the report. In April 2016, the AICPA introduced SSAE 18. The intent was to standardize attestation criteria. It replaced SSAE 16 and required service auditors to enhance their risk assessment procedures. Service organizations are required to take more control and ownership of their internal controls around the identification and classification of risk and appropriate management of third party relationships. TurnKey owns and operates its own private, SSAE 18 SOC 1 & SOC 2 certified, HIPAA compliant, datacenter located in New York’s Tech Valley region. Owning our datacenter, we have been able to design, build and maintain every aspect of its construction to provide an ideal hosted server environment. This allows us to provide our clients fast, secure and reliable performance at all times. We’ve also been able to leverage the state-of-the-art in green technologies, making our datacenter among the most energy-efficient world-wide.